Endsville: Yesterday visually impaired Merve graduated from law school in Turkey. Her mother (on the right) also got honorary degree for preparing her to every single exam by reading her entire law books for 4 consecutive years. 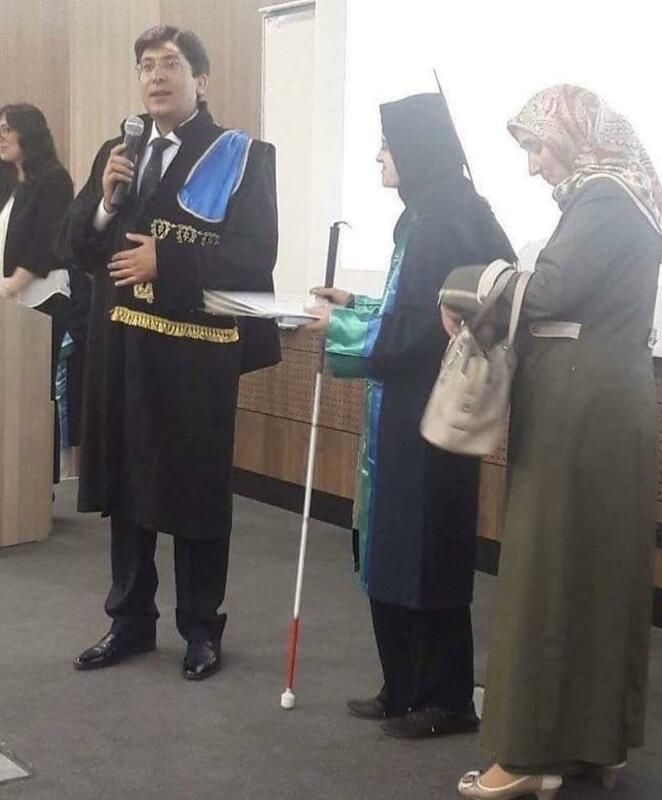 Yesterday visually impaired Merve graduated from law school in Turkey. Her mother (on the right) also got honorary degree for preparing her to every single exam by reading her entire law books for 4 consecutive years.